Eltronicschool. - In this time, we will give you information about the article with the title 'This IoT endpoint protection security system uses standard MCUs and MPUs' that wrote by Paul Whytock. 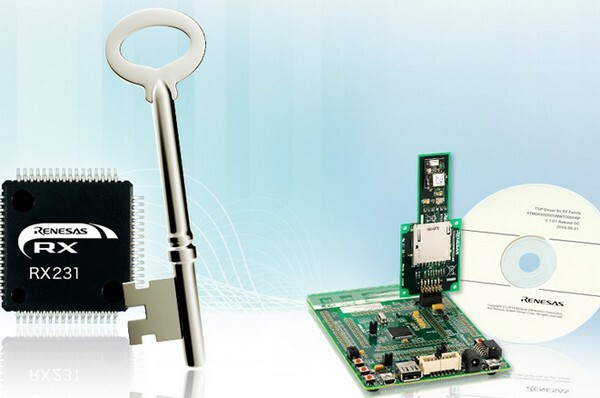 A series of embedded security solutions that use standard microcontrollers (MCUs) and microprocessors (MPUs) as new security structures for embedded devices that will function as IoT endpoints has been developed by Renesas. The first product in the series is the RX231 Communications Security Evaluation Kit. This kit provides an evaluation board and a range of software, to prevent virus infections over communication channels. It is the control of encryption keys that relate to passwords to protect information that is essential for implementing strong security functions. Because encryption keys were previously stored in flash memory or other nonvolatile memory they were at risk of malicious access. Recently there has been progress in supporting the IoT whereby a variety of devices is connected to the Internet for improving industrial productivity through data collection or remote control for energy saving. But Renesas says overall network security in the IoT tends to be weak since the scale of these systems is small, especially in edge devices at the end of the network such as sensors. To assure that edge devices do not become a platform for attack on the whole network it is necessary to make edge devices more intelligent. Now you can read more the article with the title This IoT endpoint protection security system uses standard MCUs and MPUs by Paul Whytock using link here.